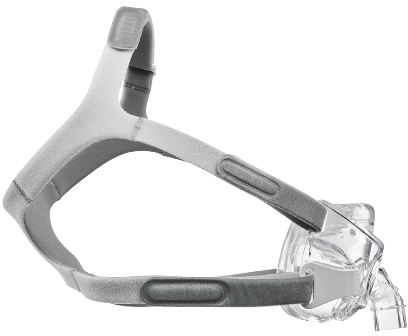 The new Amara View full face cpap mask is one of the smallest and lightest full face cpap masks available. The unique under the nose design keeps your field of vision open making reading and watching TV possible while falling asleep. The under the nose design also means no more red marks or irritation to the bridge of the nose. The Amara fits easier. It doesn't leak the air as much as some other masks I've used. 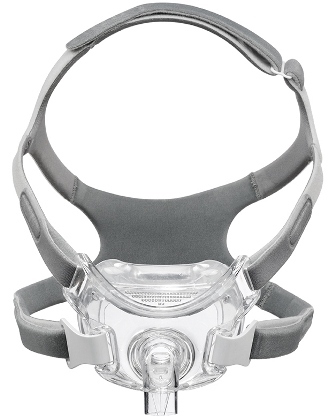 Plus as a big advantage it is not huge and bulky, like many full face mask, that make you look like an alien. Since it is not all the way up to the bridge of the nose it doesn't make me have to tighten it so much. With other masks I had more air leaks all along my nose and so I'd tighten them to where my nose bridge sore was sore and red. The Amara has a soft slim feel which has a minimal look. I really like this new mask. 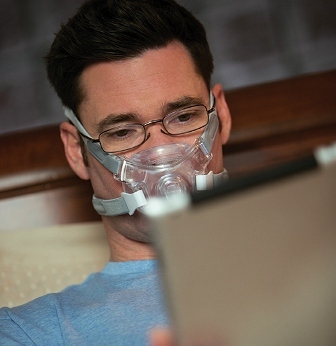 This CPAP mask hasn't worked for me. It's comfortable, but doesn't make an air-tight seal under the nose. As a result, it's loud and I can't really use it. An expensive experiment. I really like this mask. I suffer from constant allergies, which makes it difficult to breathe through my nose, hence the full face mask. But the way this mask is designed, it blows my nostrils open so I can breathe through my nose much more effectively. One other nice feature is that the air blowing out doesn't blow in my husband's face, but up then out, so we can still snuggle even after I put my mask on. One thing I would point out to new users is that the lower straps do not hook in the usual way. Rather, they snap into place, which would have been nice to know before I tried repeatedly to hook them without success. All in all, I would give this mask a 5-star rating and a big thank you to the gentleman at Best CPAP Prices who recommended it to me. The service was excellent.